Bharat is an upcoming Indian Hindi language period-drama film directed by Ali Abbas Zafar. The movie stars Bollywood Megastar Salman Khan and Priyanka Chopra in the lead roles. 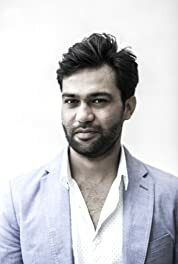 Bharat is third collaboration of director Ali Abbas Zafar and Salman Khan after two blockbusters like Sultan (2016) and Tiger Zinda Hai (2017). It will be produced by Atul Agnihotri and T Series jointly. Bharat is an official Hindi remake of 2014 Korean film ‘Ode To My Father’ which narrates the story of modern Korean history from the 1950s to the modern day through the life of an ordinary man and events such as the Hungnam Evacuation during the 1950 Korean War. Bharat will also depict the government’s decision to dispatch nurses and miners to West Germany in the ’60s and the Vietnam War. In Bharat, Salman Khan will be seen sporting five different looks, since the film spans over 70 years from the 1940s. The film is an Indian adaption of the Korean movie and will be commercial film with a mix of action, drama and music. Bharat will be made on a very huge scale with a lavish budget of around Rs 200 crore. The film will be high on VFX which will be handled by some big Hollywood companies. Salman Khan’s brother-in-law Atul Agnihotri will bankroll this mega budget project along with Bhushan Kumar of T Series. Bharat will release on June 5th 2019 on the festival of Eid. The film went on floors in the mid of April 2018.